Cláudio, V. (Org.). (2017). Psicologia e ética: O primado do humano. [s.i. ]: Fim de Século, 288 p. ISBN: 978-972-754-302-1. [P1 CLAU/V4]. Boieiro, M., Catry, P., Jardim, C., Menezes, D., Silva, I., Coelho, N., … Granadeiro, J. (2018). Invasive Argentine ants prey on Bulwer's petrels nestlings on the Desertas Islands (Madeira) but do not depress seabird breeding success. Journal for Nature Conservation, 43, 35-38. Doi: 10.1016/j.jnc.2018.02.013. [Repositório do ISPA]. Bolgan, M., Amorim, M., Fonseca, P., Lorio., L., & Parmentier, E. (2018). Acoustic complexity of vocal fish communities: A field and controlled validation. Scientific Reports, 8(1), 1-11. Doi: 10.1038/s41598-018-28771-6. [Repositório do ISPA]. Bonafé, F., Campos, L., & Marôco, J., & Campos, J. (2018). Brief Pain Inventory: a proposal to extend its clinical application. European Journal of Pain, Doi: 10.1002/ejp.1330. [Repositório do ISPA]. Bonafé, F., Marôco. J., & Campos, J. (2018). Cross-cultural validation of the Brazilian Portuguese Version of the Pain Vigilance and Awareness Questionnaire. Journal of Oral Facial Pain Headache, 32(2), 1-12. Doi: 10.11607/ofph.1853. [Repositório do ISPA]. Campioni, L., Martínez-de la Puente, J., Figuerola, J., Granadeiro, J., & Silva, M., & Catry, P. (2018). Absence of haemosporidian parasite infections in the long-lived Cory’s shearwater: Evidence from molecular analyses and review of the literature. Parasitology Research. Doi: 10.1007/s00436-017-5676-7. [Repositório do ISPA]. Coelho, L., Guedes, M., Rodrigues, E., Santos, J., & Veríssimo, M. (2018). Perfis de comportamentos de brincadeira e conhecimento emocional em crianças de idade pré-escolar. Análise Psicológica, 36(1), 87-100. Doi: 10.14417/ap.1357. [Repositório do ISPA]. Correia, E., Granadeiro, J., Regalla, A., & Catry, P. (2018). Length-weight relationship of fish species from the Bijagós Archipelago, Guinea-Bissau. Journal of Applied Ichthyology. Doi: 10.1111/jai.13522. [Repositório do ISPA]. Costa, P., Pereira, H., & Leal, I. (2018). Through the lens of sexual stigma: Attitudes toward lesbian and gay parenting. Journal of GLBT Family Studies. Doi: 10.1080/1550428X.2017.1413474. [Repositório do ISPA]. Fernandes, L., Monteiro, M., & Ornelas, J. (2018). Empowerment promotion through competitive employment for people with psychiatric disabilities. Journal of Vocational Rehabilitation, 49, 259–263 Doi: 10.3233/JVR-180971. [Repositório do ISPA]. Ferreira. J., Parma, V., Alho, L., Silva, C., & Soares, S. (2018). Emotional body odors as context: Effects on cardiac and subjective responses. Chemical Senses, 43, 347–355. Doi: 10.1093/chemse/bjy021. [Repositório do ISPA]. Freitas, M., Santos, J., Ribeiro, O., Pimenta, M., & Rubin, K. (2018). Qualidade da amizade na adolescência e ajustamento social no grupo de pares. Análise Psicológica, 36(2), 219-234. Doi: 10.14417/ap.1551. [Repositório do ISPA]. Gomes Júnior, E., Santos, E., Rocha, C., Santos, P. & Fontoura, P. (2018). A new species of Ligiarctus (Tardigrada, Arthrotardigrada) from the Brazilian continental shelf, Southwestern Atlantic Ocean. Marine Biodiversity, 48(1), 5-12. Doi: 10.1007/s12526-017-0709-0. [Repositório do ISPA]. Gonzalez, A., Martins, P., & Lima, M. (2018). Studying the efficacy of psychodrama with the hermeneutic single case efficacy design: Results from a longitudinal study. Frontiers in Psychology, (9), 1-12. Doi: 10.3389/fpsyg.2018.01662. [Repositório do ISPA]. Granadeiro, J., Sudre, J., Catry, P., & Bonadonna, F. (2018). Flexible migratory choices of Cory’s shearwaters are not driven by shifts in prevailing air currents. Scientific Reports, 8, 1-9. Doi: 10.1038/s41598-018-21608-2. [Repositório do ISPA]. Hal,l D., Fackrell, K., Li, A., Thavayogan, R., Smith, S., Kennedy, V. … Haider. H. (2018). A narrative synthesis of research evidence for tinnitus-related complaints as reported by patients and their significant others. Health and Quality of Life Outcomes, 1-15. Doi: 10.1186/s12955-018-0888-9. [Repositório do ISPA]. Sinval, J., Marques-Pinto, A., Queirós, C., & Marôco, J. (2018). Brazil-Portugal Transcultural Adaptation of the UWES-9: Internal Consistency, Dimensionality, and Measurement Invariance. Frontiers In Psychology, Vol 9 (2018). Doi: 10.3389/fpsyg.2018.00353/full. [Repositório do ISPA]. Keogan, K., Daunt, F., Wanless, S., Phillips, R., Walling, C., Agnew, P., … Lewis, S. (2018). Global phenological insensitivity to shifting ocean temperatures among seabirds. Nature Climate Change, 8(4), 313-318. Doi: 10.1038/s41558-018-0115-z. [Repositório do ISPA]. Klein, M., Beveren, E., Rodrigues, D., Serrão, E., Caselle, J., Gonçalves, E., & Borges, R. (2018). Small scale temporal patterns of recruitment and hatching of Atlantic horse mackerel (L.) at a nearshore reef area. Fisheries Oceanography, 1-12. Doi: 10.1111/fog.12269. [Repositório do ISPA]. Lopes, C., Antunes, M., & Sanches, T., (2018). Contributos da literacia da informação para a Ciência Aberta. Ibersid, 12(1), 59-67. [Repositório do ISPA]. Luís, A., Alves, I., Sobreira, F., Couchinho, M., & Santos, M. (2018). Brays and bits: Information theory applied to acoustic communication sequences of bottlenose dolphins. Bioacoustics. Doi: 10.1080/09524622.2018.1443285. [Repositório do ISPA]. Marques, A., Peralta, M., Naia, A., Loureiro, N., & Matos, M. (2018). Prevalence of adult overweight and obesity in 20 European countries, 2014. European Journal of Public Health. Doi: 10.1093/eurpub/ckx143. [Repositório do ISPA]. Marques, A., Santos, T., Martins, J., Matos., M., & Valeiro, M. (2018). The association between physical activity and chronic diseases in European adults. European Journal of Sport Science. Doi: 10.1080/17461391.2017.1400109. [Repositório do ISPA]. Mascarenhas. M., Dübbers, F., Hoszowska, M., Köseoğlu, A., Karakasheva, R., Topal, A.,… Lemoine, J. (2018). The power of choice: A study protocol on how identity leadership fosters commitment toward the organization. Frontiers in Psychology, vol: 9 pp: 1-10. Doi: 10.3389/fpsyg.2018.01677. [Repositório do ISPA]. Matos, M., Camacho, I., Reis, M., Tomé, G., Branquinho, C., & Ramiro, L. (2018). Is truth in the eyes of the beholder? Or are Portuguese schools, as viewed by Portuguese pupils, mismatching with what the educational system offers?. Vulnerable Children and Youth Studies. Doi: 10.1080/17450128.2017.1363447. [Repositório do ISPA]. Oliveira, P., Carvalho, J., Ferreira, J., Alho, L., & Nobre, P. (2018). Influence of body odors and gender on perceived genital arousal. Archives of Sexual Behavior, 47(3),661-668. Doi: 10.1007/s10508-017-1091-5. [Repositório do ISPA]. Parmentier, E., Petrinisec, M., Fonseca, P., & Amorim, M. (2018). Sound production mechanism in Pomatoschistus pictus. The Journal of Experimental Biology, 23, 4374-4376. Doi: 10.1242/jeb.164863. [Repositório do ISPA] . Patricio, A., Varela, M., Barbosa, C., Broderick, A., Airaud, M., Godley, B, … Catry, P. (2018). Nest site selection repeatability of green turtles, Chelonia mydas, and consequences for offspring. Animal Behaviour, 139, 91-102. Doi: 10.1016/j.anbehav.(2018).03.006. [Repositório do ISPA]. Pawlowski, J., Kelly-Quinn, M., Altermatt, F., Apothéloz-Perret-Gentil, L., Beja, P., Boggero, A., … Kahlert, M. (2018). The future of biotic indices in the ecogenomic era: Integrating (e)DNA metabarcoding in biological assessment of aquatic ecosystems. Science of the Total Environment, 1295-1310. Doi: 10.1016/j.scitotenv.(2018)..05.002. [Repositório do ISPA]. Pechorro, P., Maroco, J., Ray, J., Gonçalves, R., & Nunes, C., (2018). A brief measure of narcissism among female juvenile delinquents and community youths: The narcissistic personality inventory–13. International Journal of Offender Therapy and Comparative Criminology. Doi: 10.1177/0306624X17700855. [Repositório do ISPA]. Quelhas, A., Rasga, C., & Johnson-Laird, P (2018). The relation between factual and counterfactual conditionals. Cognitive Science, pp: 1-24 Doi: 10.1111/cogs.12663. [Repositório do ISPA]. Ramos, C., Costa, P., Rudnicki, T., Marôco, A., Leal, I., Guimarães, R., … Tedeschi, R. (2018). The effectiveness of a group intervention to facilitate posttraumatic growth among women with breast cancer. Psycho-Oncology, Doi: 10.1002/pon.4501. [Repositório do ISPA]. Ramos, V., Canta, G., Castro, F., & Leal, I. (2014). Discrete subgroups of adolescents diagnosed with borderline personality disorder: A latent class analysis of personality features. Journal of Personality Disorders, 28(4). 463-482. DOI: 10.1521/bumc.2016.80.3.213. [Repositório do ISPA]. Santos, E., Rubal, M., Veiga, P., Bartels, P., Rocha, C., & Fontoura, P., (2018). On the distribution of Batillipes tubernatis Pollock, 1971 (Arthrotardigrada: Batillipedidae) in the Atlantic Basin. Marine Biodiversity, 1-11. Doi: 10.1007/s12526-017-0834-9. [Repositório do ISPA]. Santos, E., Rubal, M., Veiga, P., Rocha, C. & Fontoura, P. (2018). Batillipes (Tardigrada, Arthrotardigrada) from the Portuguese coast with the description of two new species and a new dichotomous key for all species. European Journal of Taxonomy, 425, 1-32. Doi: 10.5852/ejt.(2018). 425. [Repositório do ISPA]. Silva, C., Lemos, M., Faria, A., Lopes, A., Mendes, S., Gonçalves, E., & Novais, S. (2018). Sand smelt ability to cope and recover from ocean's elevated CO2 levels. Ecotoxicology and Environmental Safety. Doi: 10.1016/j.ecoenv.(2018)..02.011. [Repositório do ISPA]. Silva, F., Dias, J., Silva, S., Bem-Haja, P., Silva, C., & Soares, S., (2018). Unconscious influence over executive control: Absence of conflict detection and adaptation. Consciousness and Cognition, 63, 110-122. 10.1016/j.concog.(2018). .06.021. [Repositório do ISPA]. Silva, W., Campos, J., & Marôco, J., (2018). Impact of inherent aspects of body image, eating behavior and perceived health competence on quality of life of university students. PLoS ONE, (6), 1-19. Doi: 10.1371/journal.pone.0199480. [Repositório do ISPA]. Silva, W., Bonafé, F., Maroco, J., Maloa, B., & Campos, J. (2018). Psychometric properties of the World Health Organization Quality of Life Instrument-Abbreviated version in Portuguese-speaking adults from three different countries. Trends Psychiatry Psychother, 40(2), 104-113. Doi: 10.1590/2237-6089-2017-0058. [Repositório do ISPA]. Sousa, I., Kramer, D., Gonçalves, J., Claudet, J., Coelho, R., Gonçalves, E. (2018). Soft-bottom fishes and spatial protection: Findings from a temperate marine protected area. PeerJ. 6, 1-26. Doi: 10.7717/peerj.4653. [Repositório do ISPA]. Torres, N., Martins, D., Santos, A. J., Prata, D., & Veríssimo, M. (2018). How do hypothalamic nonapeptides shape youth’s sociality? A systematic review on oxytocin, vasopressin and human socio-emotional development. Neuroscience And Biobehavioral Reviews, 90309-331. doi:10.1016/j.neubiorev.2018.05.004. [Repositório do ISPA]. von Humboldt, S., Carneiro, F., & Leal, I. (2018). A Structural model for adjustment to aging among older women in breast cancer remission. Applied Research in Quality of Life, 1-19. Doi: 10.1007/s11482-018-9622-3. [Repositório do ISPA]. Lovette, I. & Fitzpatrick, J. (Eds.) (2018). 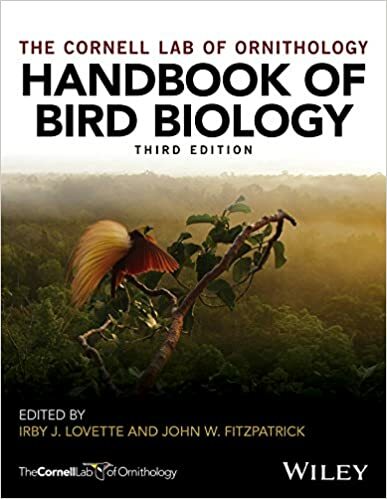 The Cornell Lab of ornithology: Handbook of bird biology (3rd ed). Oxford: John Wiley & Sons, 716 p. ISBN: 978-1-118-29105-4. [B LOVE1]. Miller, S., & Kendall, A. (2009). Early life history of marine fishes. Berkeley: University of California Press, 364 p. ISBN 978-0-520-24972-1. [B1 MILL/B1]. Ryan, J. (2018). Mammalogy techniques lab manual. Baltimore: Johns Hopkins University Press, 179 p. ISBN 978-1-4214-2607-5. [B RYAN1]. Abreu, J. (2014). O bailado da alma. Alfragide: Dom Quixote, 151 p. ISBN 978-972-20-5578-9. [C1 ABRE5]. Farate, C., & Jorge, M. (Coord). (2018). Bion e Lacan para além de Freud: Ideias, signos e palavras-cruzadas para uma psicanálise em mudança. Coimbra: Almedina, 231 p. ISBN: 978-972-40-7661-4. [C3 FARA3]. Oliveira, E., & Cohen, C., (Orgs.). 2017). O bebê e o outro: Seu entorno e suas interacções. São Paulo : Instituto Langage, 350 p. ISBN 978-85-62686-23-8. [C2 OLIV1]. Peinado, J. (2018). Psicologia criminal aplicada: Aspectos procesales, periciales y forenses. Madrid: Dykinson, 693 p. ISBN: 978-84-9148-712-8. [C6 PEIN1]. Pinto, A., & Raimundo, R. (Coord.). (2016). Avaliação e promoção de competências socioemocionais em Portugal. Lisboa: Coisas de Ler, 460 p. ISBN: 978-989-8659-82-8. [C4 MARQ/A1]. Durel, N. (2016). Os cavalos terapeutas: A minha jornada com cavalos. São João das Lampas: Modocromia, 247 p. ISBN: 978-989-99672-2-9. [C5 DURE1]. Leal, I. (Coord.). (2018). Psicoterapias. Lisboa: Lidel, 383 p. ISBN: 978-989-693-075-2. [C5 LEAL/I7]. Yalom, I. (2017). Eu, Yalom: Memórias de um psicoterapeuta. Porto Salvo: Saída de Emergência, 334 p. ISBN 978-989-773-083-2. [C5 YALO10]. Allen, D. (2015). Organízate con eficacia: El arte de la productividade sin estrés. Barcelona: Urano, 343 p. ISBN: 978-84-92921-30-0. [S2 ALLE2]. Amaral, V. (2017). Sense of the 74th April revolution: Content and discursive strategies. Mauritius: LAP Lambert Academic Publishing, 108 p. ISBN: 978-613-9-81410-7. [S1 AMAR1]. Belbin, R. (2013). Roles de equipo en el trabajo (2ª ed). London: Belbin, 139 p. ISBN: 978-1-85617-800-6. [S2 BELB2]. Friedman, T. (2005). O mundo e plano: Uma história breve do Século XXI. Lisboa : Actual Editora, 509 p. ISBN: 972-99720-1-X. [S2 FRIE1]. Luiz, P. (2018). Teatro de emoções: Dinâmicas de grupo. Lisboa: Edições ISPA, 35 p. ISBN: 978-989-1384-52-2. [S3 LUIZ1]. Moran, A., & Toner, J. (2018). Psicologia del deporte. México: Manual Moderno, 471 p. ISBN: 978-607-448-691-9. [S5 MORA/A2]. Leahey, T., (2013). Historia de la psicología (7ª ed). Madrid: Pearson Educacion, 493 p. ISBN: 978-84-1555-242-0. [P1 LEAH3]. Pinker, S., & (2018). Los Angeles que llevamos dentro: El declive de la violência y sus implicaciones. Barcelona: Paidos, 1146 p. ISBN: 978-84-493-3464-1. [P1 PINK/S1]. Thomson, P., & Jaque, S. (2017). Creativity and the performing artist: Behind the mask. London: Academic Press, 480 p. ISBN: 978-0-12-804051-5. [P1 THOM1]. Tinio, PL., & Smith, J. (Eds). (2014). The Cambridge handbook of the psychology of aesthetics and the arts. Cambridge : Cambridge University Press, 620 p. ISBN: 978-1-108-40267-5. [P1 TINI1]. Barros, P. (2013). Pela sua saúde. Lisboa: Fundação Francisco Manuel dos Santos, 95 p. ISBN: 978-989-8424-78-5. [C7 BARR/P1]. Brown, K., Creswell, J., & Ryan, R. (Eds.). (2015). Handbook of mindfulness: Theory, research, and practice. New York: The Guilford Press, 466 p. ISBN: 978-1-4625-2593-5. [C7 BROW1]. Chambel, M. (Coord.). (2016). Psicologia da saúde ocupacional. Lisboa: Factor, 390 p. ISBN 978-989-693-051-6. [C7 CHAM1]. Lopes, C. & Almeida C. (Coords.). (2018). Literacia em saúde: Modelos estratégias e intervenção. Lisboa: Edições ISPA, 78 p. ISBN 978-989-8384-53-9. [C7 LOPE1]. Papalois, V., & Theodosopoulou, M. (Eds.). (2018). Optimizing health literacy for improved clinical practices. Hershey: IGI Global, 337 p. ISBN: 978-1-5225-4074-6. [C7 PAPA1]. Patrão, I., & Sampaio, D. (Coord.). (2016). Dependências online: O poder das tecnologias. Lisboa: Factor, 189 p. ISBN: 978-693-060-8. [C7 PATR/I1]. Santed, M., Segovia, S. (Coord.). (2018). Mindfulness: Fundamentos y aplicaciones. 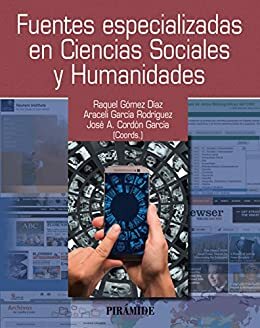 Madrid: Paraninfo Universidad, 333 p. ISBN: 978-84-283-3846-2. [C7 SANT/MI1]. Sequeira, C. (Coord.). (2016). Comunicação clínica e relação de ajuda. Lisboa: Lidel, 343 p. ISBN: 978-989-752-168-3. [C7 SEQU1]. Steinberg, M., & Miller, W. (2015). Motivational interviewing in diabetes care. New York: The Guilford Press, 244 p. ISBN 978-1-4625-2163-0. [C7 STEI1]. Strosahl, Ki., & Robinson, P. (2018). Manual práctico de mindfulness y aceptacion contra la depresion: Como utilizar la terapia de aceptacion y compromiso (ACT) para superar la depresion y crear una vida que merezca la pena vivir. Bilbao: Desclee De Brouwer, 473 p. ISBN: 978-84-330-2988-1. [C7 STRO/K1]. Tuokko, H.,& Smart, C., (2018). Neuropsychology of cognitive decline: A developmental approach to assessment and intervention. New York: Guilford Press, 387 p. ISBN: 978-1-4625-3539-2. [C7 TUOK1]. António, J., Correira, T., Costa, L., Valente, A. (2017). 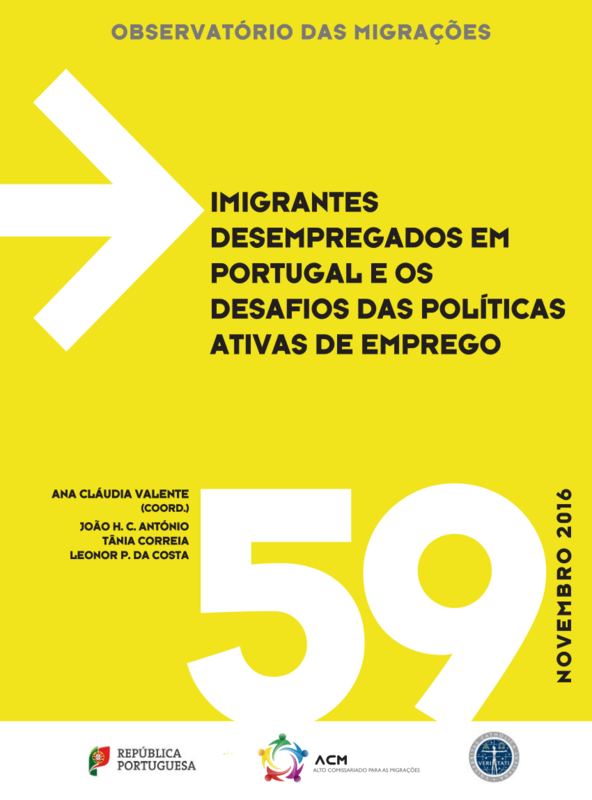 Imigrantes desempregados em Portugal e os desafios das políticas ativas de emprego. 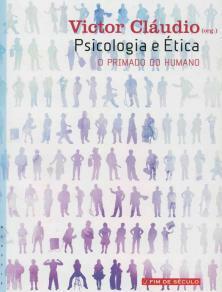 Lisboa: Alto-Comissariado para as Imigrações, 179 p. ISBN: 978-989-685-081-4. [C8 OI37]. Carvalho, M., & Salgueiro, A. (Coord.). (2018). Pensar o acolhimento residencial de crianças e jovens. Lisboa: Fundação Calouste Gulbenkian, 338 p. ISBN: 978-989-8380-31-09. [C8 CARV/M1]. Esteces, A., & Estevens , A. (2017). Condições de vida e inserção laboral dos imigrantes em Portugal: Efeitos da crise de 2007-2008. Lisboa: Alto-Comissariado para as Imigrações, 2017. 189 p. ISBN: 978-989-685-084-5 e-book: https://www.om.acm.gov.pt/documents/58428/177157/Estudo_OM+60.pdf. [C8 OI38]. Ferro, L., & Raposo, O., (Coord.). (2017). O trabalho da arte e a arte do trabalho: Circuitos criativos de artistas imigrantes em Portugal. Lisboa: Alto-Comissariado para as Imigrações, 164 p. ISBN: 978-989-685-079-1. e-book: https://www.om.acm.gov.pt/documents/58428/177157/Estudo_OM58_br.pdf/521e91d4-f875-49cd-ba7a-36a6894c8618. [C8 OI36]. Gaspar, S., Ferreira, A., Ramos & Madalena , A. (Coord.). (2017). Evolução e perfis dos divórcios em casais binacionais em Portugal (1995-2013). Lisboa : Alto-Comissariado para as imigrações, 102 p. ISBN 978-989-685-087-6. e-book: https://www.om.acm.gov.pt/documents/58428/177157/Estudo+%23+61.pdf/8d8511d6-7be8-4192-bc42-f5dd8657a0a7. [C8 OI39]. Monteiro, S., & Soeira, C. (Coord.). (2012). Manual de procedimentos de atendimento à vítima. Lisboa: Coisas de Ler, 71 p. ISBN: 978-989-8218-10-0. [C8 MONT/S1]. Seabra, T. (Coord.). (2017). Caminhos escolares de jovens africanos (PALOP) que acedem ao ensino superior. 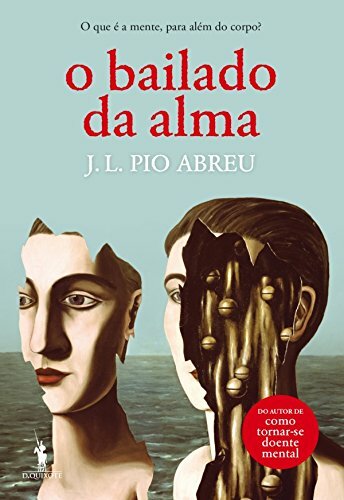 Lisboa: Alto-Comissariado para as Imigrações, 266 p. ISBN: 978-989-685-077-7. e-book: https://www.om.acm.gov.pt/documents/58428/177157/ESTUDO+57_web.pdf/704c1ae4-adc6-4858-9851-d4a45f602095. [C8 OI35]. Cortés, J. (Coord.). (2015). Escritura académica: de la teoría a la práctica. Madrid: Pirâmide, 157 p. ISBN: 978-84-368-3451-2. [M CORT1]. León, O., & Montero, I. (2015). Métodos de investigación en psicologia y educación: Las tradiciones cuantitativa y cualitativa (4ª ed). 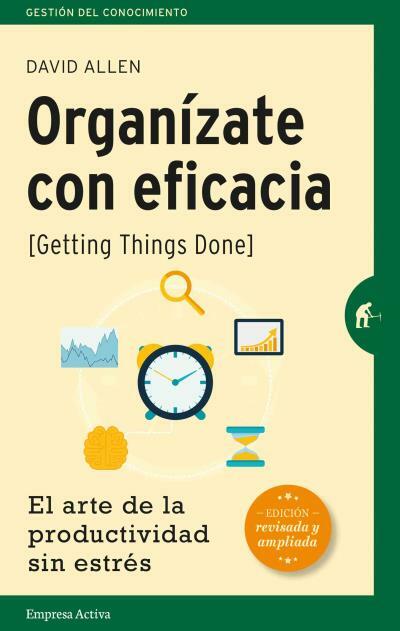 Madrid: McGraw Hill Education, 643 p. ISBN: 978-84-486-0838-5. [M MONT1]. Marôco, J. (2018). Análise estatística com o SPSS Statistics (7ª ed). Pêro Pinheiro: ReportNumber, 1013 p. ISBN: 978-989-96763-5-0. [M1 MARO8]. Oliveira, L. (2018). Escrita científica: Da folha em branco ao texto final. Lisboa: Lidel, 209 p. ISBN: 978-989-752-340-3. [M OLIV/L1]. Humanidades. Madrid: Pirámide, 601 p. ISBN: 978-84-368-3790-2. [BIB DIAZ1]. García, J., Arévalo, J., Diaz, R., & Rodríguez, A. (2016). Las nuevas fuentes de información. Madrid: Ediciones Pirâmide, 517 p. ISBN: 978-84-368-3645-5. [BIB GARC/J1]. Harmeyer, D,. & Baskin, J. (2018). Implementing the information literacy framework: A practical guide for librarians. Lanham: Rowman & Littlefield, 251 p. ISBN: 978-1-5381-0757-7. [BIB HARM1]. Amaral, V. (Coord.) (2018). A Imprensa à época da Revolução vs os média na actualidade. Lisboa: Associação DEASCE, 144 p. ISBN: 978-989-99493-6-2. [SO AMAR/V1]. Gutenberg , N., & Fiordo, R. (Coord.). (2017). Rhetoric in Europe: Philosophical issues. Berlin: Frank & Timme, 242 p. ISBN: 978-3-7329-0319-1. [A GUTE1]. Araújo, R., & Bolota, R. (2018). Olá! Eu sou o Duarte: O meu amigo Duarte. Lisboa: ISPA - Instituto Universitário: Pais em Rede, 24 p. ISBN: 978-989-8384-49-2. [LT4 ME14]. Beltrão, L., & Lopes, T. (2013). Olá! Eu sou a Vera: É bom ter amigos. Lisboa: ISPA - Instituto Universitário, 24 p. ISBN: 978-989-8384-20-1. [LT4 ME2]. Cabral, A., & Isidro, C. (2016). Olá! Eu sou o João: O tesouro do João. Lisboa: ISPA - Instituto Universitário, 24 p. ISBN: 978-989-8384-20-1. [LT4 ME12]. Cruz, A., & Leite, M. (2014). Olá! Eu sou a Cláudia: À velocidade do pensamento. Lisboa: ISPA - Instituto Universitário, 24 p. ISBN: 978-989-8384-31-7. [LT4 ME4]. Ferro, R., & Vasconcellos, R., (2014). Olá! Eu sou a Matilde: Cinco dedos de uma mão. Lisboa: ISPA - Instituto Universitário, 24 p. ISBN: 978-989-8384-37-9. [LT4 ME7]. Gersão, T., & Moreira, C. (2014). Olá! Eu sou a Carolina: O mundo de Carolina. Lisboa: ISPA -Instituto Universitário, 24 p. ISBN: 978-989-8384-32-4. [LT4 ME3]. Marques, R., & Figueiredo, H. (2017). Olá! Eu sou o André: Ou lá o que isso é. Lisboa: ISPA - Instituto Universitário: Pais em Rede, 24 p. ISBN: 978-989-8384-50-8. [LT4 ME13]. Martins, I., & Gargalo, V. Olá! Eu sou o Eduardo: O fácil que é difícil, e o difícil que é fácil. Lisboa: ISPA - Instituto Universitário, (2015). 24 p. ISBN: 978-989-8384-35-5. [LT4 ME6]. Peixoto, J., & Gargalo, V. (2014). Olá! Eu sou o Martim: Martim o menino assim. Lisboa: ISPA - Instituto Universitário, 24 p. ISBN: 978-989-8384-30-0. [LT4 ME5]. Soares, L., & Ferreira, A. (2016). Olá! Eu sou o Tiago: Um detective em cadeira de rodas. Lisboa: ISPA - Instituto Universitário, 24 p.ISBN: 978-989-8384-21-8. [LT4 ME8]. Stillwell, I., & Braga,M. (2013). Olá! Eu sou o Afonso: Afonso e a espada mágica. Lisboa: ISPA - Instituto Universitário, 24 p. ISBN: 978-989-8384-40-9. [LT4 ME10]. Vieira, A., & Guerreiro, P. (2013). Olá! Eu sou o João: Um mundo só meu. Lisboa: ISPA - Instituto Universitário, 24 p. ISBN: 978-989-8384-22-5. [LT4 ME1]. Xavier, L., & F. I (2018). Olá! Eu sou a Mariana: O sonho da gata Zu. Lisboa : ISPA - Instituto Universitário : Pais em Rede. 24 p. ISBN: 978-989-8384-48-5. [LT4 ME16]. Zanatti, A., & Bastos, M. (2016). Olá! Eu sou o Alexandre: Alexandre o ágil. Lisboa: ISPA - Instituto Universitário, 24 p. ISBN: 978-989-8384-39-3. [LT4 ME11]. Zink, R., & Delecave, P. (2016). Olá! Eu sou a Matilde: Que aventura ser Matilde. Lisboa: ISPA - Instituto Universitário, 24 p. ISBN: 978-989-8384-36-2. [LT4 ME9]. Le diagnostic psychologique chez l’enfant [número temático]. 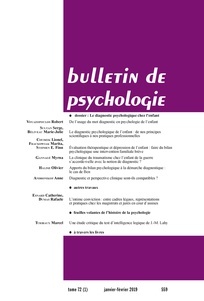 Bulletin de Psychologie, 559. 2019. [R1]. Tempo e movimento do ócio à terapia [Número temático]. Hospitalidade, 322, 2018. [R8]. Saúde mental sai à rua: Superar barreiras [Número temático]. Hospitalidade, 321. 2018. [R8]. Do conhecer ao saber: Reinventar em saúde [Número temático]. Hospitalidade, 320. 2018. [R8]. Resilience in the context of development [número temático] / J. J. Cutuli, Janette E. Herbers. Journal of Early Adolescence, 38(9). 2018. [R3]. Development of sexual risk in minority youth: Risk and protective factors in early adolescence [número temático] / Helen W. Wilson. Journal of Early Adolescence, 38(1). 2018. [R3]. Transformations et accomplissements psychiques [Número Temático] / Sabina Lambertucci-Mann. Revue Française de Psychanalyse, 82(5). 2018. [R8]. Lacan aujourd´hui: Dossier - La psychanalyse au Brésil [Número Temático] / Fançoise Coblence . 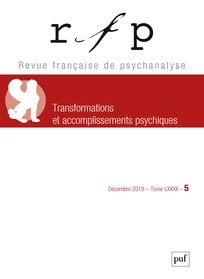 Revue Française de Psychanalyse, 82(4). 2018. [R8]. Destins de l’autoérotisme [Número Temático] / Revue Française de Psychanalyse,82(3). 2018. [R8]. Toulouse, E. & Pieron, H. (2013). TP-R: Toulouse-Piéron Revisado - pruepa perceptiva e de atención, Manual (8ª ed.). Madrid: TEA. [T23 TPR1]. Weschler, D. (2008). 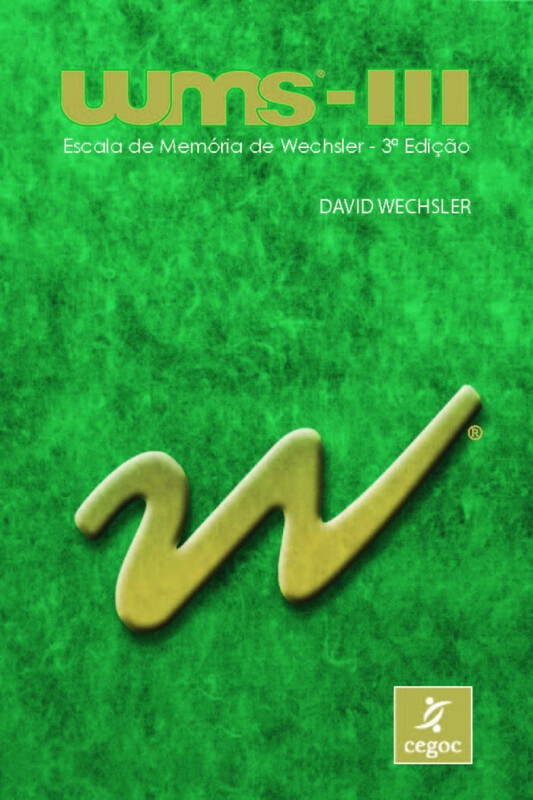 Escala de Memória de Weschler. Lisboa: CEGOC, Mochila com diverso material. [T2.4 WMS-III1].